“Tenda Wema nenda zako” A Swahili saying that means, “Do good and move on”. Often, we lean on the fact that we should do good and good will be done to us but sadly this is not the case in today’s world. Some of us learn this the hard way, not because we are wrong for feeling the need of expecting something in return, but because it’s human nature to expect. Understand this, in a world where cruelty is the order of the day, often many people do not know any better than to be such. We grow innocently not knowing what we’re up against in this world and not only after we’ve realized that life isn’t all cookies and cream as we are raised to believe. Don’t get me wrong, it’s not all that bad but that also depends on perspective and it shouldn’t. Why can’t it be good and proper for us all? The genuinely good suffer more because mostly, they do good from the kindness of their hearts and whether or not they anticipate it, 99% of the time, what they receive in return is evil doing. Which leads to people turning a new leaf and having a change of heart. More often the kind-hearted turn to bad simply because of their experiences which creates a cycle and makes the world have more cruel than good people. The more you focus on what you get in return, the more hurt and disappointed you become. It’s about time that we realize that we are doing more harm than good to ourselves and those around us, the moment we have high expectations towards others or think that others will do good as we have done to them. Never wait for anyone’s appreciation or reciprocity because most of the time that you do good to people they will not appreciate. Do good and move on. God keeps record of all your actions and His reward is a thousand folds over that of man. Tenda Wema, Nenda Zako. 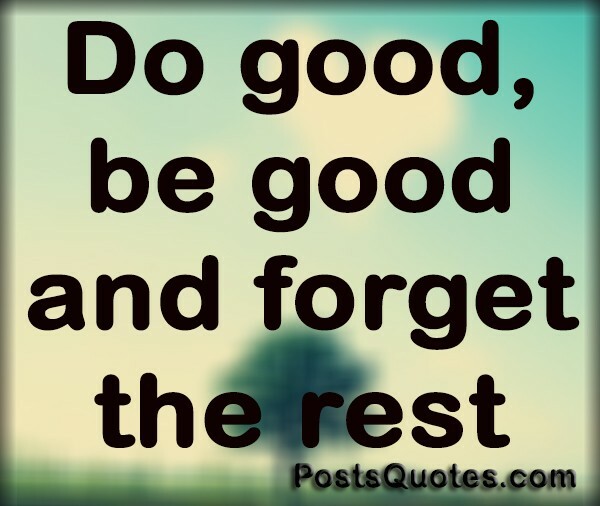 Smile and do good not because you expect rewards, do good because you desire to. Let that be your nature! Let no one have an effect on that. Hello well blessing come from the good deed that we do.Thanks for the amazing message hope we could all get to practice good the world be awesome. Thank you very much. I do hope so too. Kindly keep reading, keep watching, keep sharing and keep commenting.